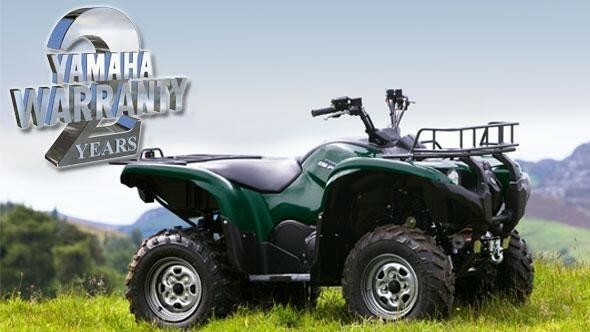 All Yamaha Grizzly and Kodiak ATV's imported by YMUK, now carry a 2 year manufacturers warranty. All Utility ATV's purchased for use in the UK and registered on the Yamaha warranty system will be eligible for an additional period giving a total of 2 years warranty cover. Offer open for a limited period, consult your dealer for details. All cover is subject to regular servicing, as specified in the relevant Yamaha owners manual. Full terms & conditions available upon request.